Bee pollen has been used for centuries to aid fertility. It is thought that bee pollen also helps aid sexuality. Prepare two loaf pans by lining with plastic wrap. Pour honey, egg yolks and seeds from the vanilla bean into a metal bowl. Heat a pot of water to simmering. Place metal bowl over water and whisk constantly. The mixture will turn very pale and double in volume or 5 to 7 minutes. Allow mixture to cool in bowl off heat. Place a chilled metal bowl in a stand mixer and add cold cream. When the honey mixture is room temperature, fold into the whipped cream. Spoon into prepared loan pans and freeze overnight. 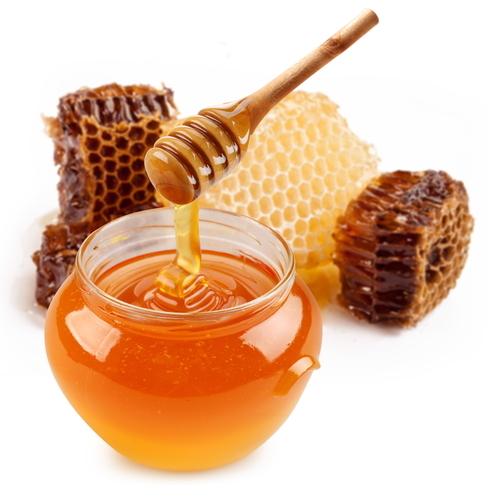 Nutritional Benefits: Honey – a natural fertility aid.